We know quite well that water is scarce. Many even imagine that a Third World War will be fought over water. Nonetheless, the thought of taps running dry doesn't come naturally. There is a sense that such a day would arrive far into the future. But maybe it is time to wake up - doomsday is likely just 10 years from now. This alarming figure was emphasised in the last Parliament session, better known for stalled business and loud political speeches. 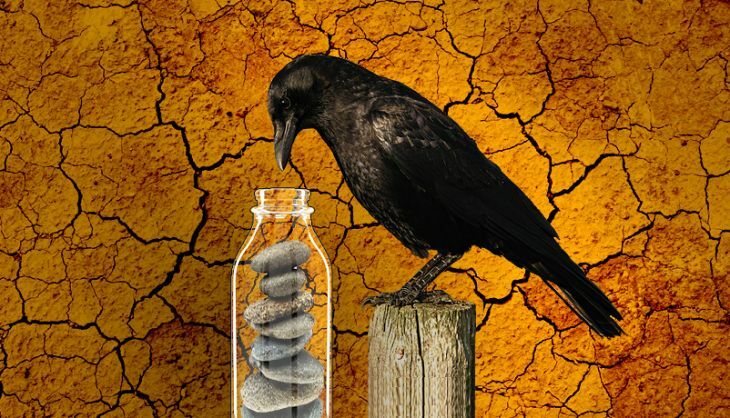 In the Question Hour, Sanwar Lal Jat, the junior minister for water resources, quoted a study by a private consulting firm that said India won't have enough water for its people by 2025. The minister then quoted government figures from 1999 that project that it won't be so soon, but latest by 2050. Either way, we are talking about most of our generation (and all of the next) hitting complete water scarcity. Further, seeing the government's actual water availability numbers suggests that the minister's figures are optimistic. For example, it considers that the Ganga is clean enough to directly use it. Devoid of such jaw-dropping assumptions, the picture is very grim. Water available for use every year. BCM is billion cubic metres. This means all the water available in India would just about fill up a cube that covers the city of Chennai. 690 BCM, or 60% of this, is surface water through rivers and lakes. The rest is ground water. India's water demand expected (by the government) in 2025. This will rise to 1180 BCM in 2050. These are conservative estimates made in 1999. So, by the government's calculations, we would be water scarce by 2050. But the optimism quickly disappears just by considering the pollution of Ganga river and depleting groundwater. It's not just the Ganga; over 275 rivers are deemed polluted by the government. Or over one-third of India's river water available for use is from the Ganga. Of the total water water available, the Ganga accounts for one-fourth. But the river is severely polluted in most stretches. That is the share of groundwater in total water available in the country. But this resource is being severely exploited through wells, borewells and handpumps. Groundwater extraction rate in Haryana, Delhi, Punjab, and Rajasthan. That is, all the available groundwater is extracted. The rate is 70% in Gujarat, Karnataka and Tamil Nadu. Predictably, wells are depleting fast. In Tamil Nadu, 95% of open wells are dry, and levels drop by 5 feet every year. 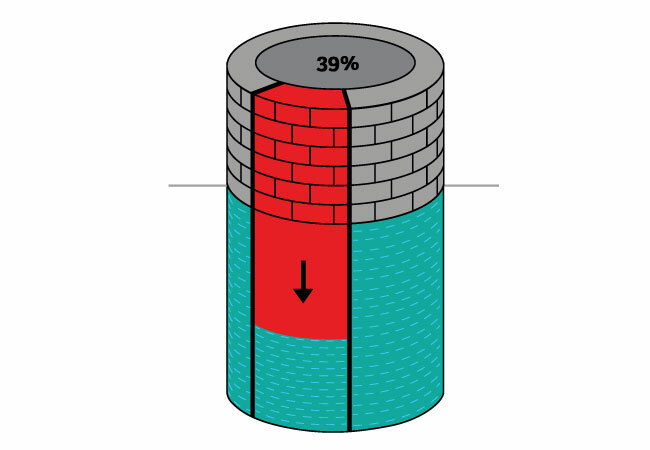 Percentage of wells in the country that have shown declining water levels. This was also revealed by the water minister in the last Parliament session. He added that 16% of the wells observed by the government are officially "over-exploited". Or almost 10 crore - that's the number of Indians who did not have access to water through 'improved' sources in 2012, according to the World Health Organisation. Improved sources are safe sources: piped water, borewells, protected taps and protected springs. This shows that even providing water as a basic amenity for all will cause water demand to shoot up. Number of people who could have been provided water if it hadn't got exported away as 'virtual' water. This is equivalent to the entire population of Mumbai. Virtual water is what goes into making goods - food, clothes, vehicles, etc. So, when we export goods to other countries, water used in making them gets 'exported' too. Share of available water that India currently exports away as virtual water. This will only get worse as we 'Make in India' and export. Before India opened up its economy to trade, virtual water exports were negligible. Water that can be used if all rooftops in Mumbai begin harvesting rainwater. This is 20% of the city's daily water supply. 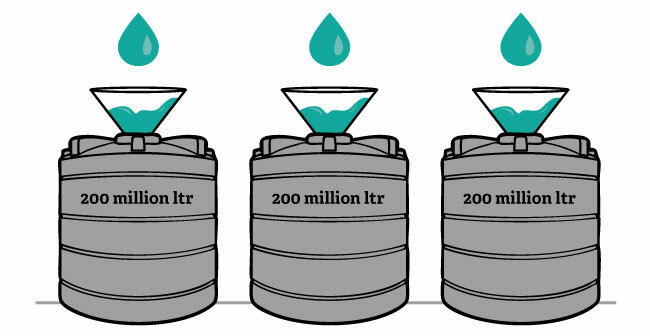 The amount of harvested rainwater can go up to 1,180 million litres per day, or 40% of the daily water supply. If every household in Delhi starts harvesting rainwater, up to 70% of the demand can be met, according to a recent study at the Jamia Millia Islamia. This share can go up to 89% if the water demand is kept within the prescribed standards of 250 litres per person per day.